Scientists are researching the illusion of "out of body"
The neuroscience experts create the illusion of so-called "out of body", such as teleportation process that allows humans to feel the out of body sensation and move even though the body is actually dwell under the brain scanner device. 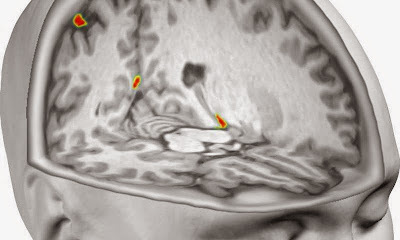 In experiments conducted at the Karolinska Institutet in Sweden, the neuroscience experts provides a "code" in the brains of participants while in a brain scanner machine, which is in the hippocampus, where then human will feel the out of body sensation and saw themself under scanner device. 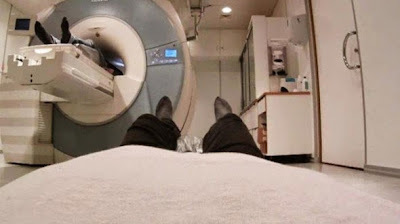 Not only that, when participants put into the scanner and then saw their own body on the screen is placed over the head, they will be given a vision that they were in someone else's body. To give a real effect when participants watched their new body, scientists will touch a part of the body of participants who then simultaneously given foreign body.